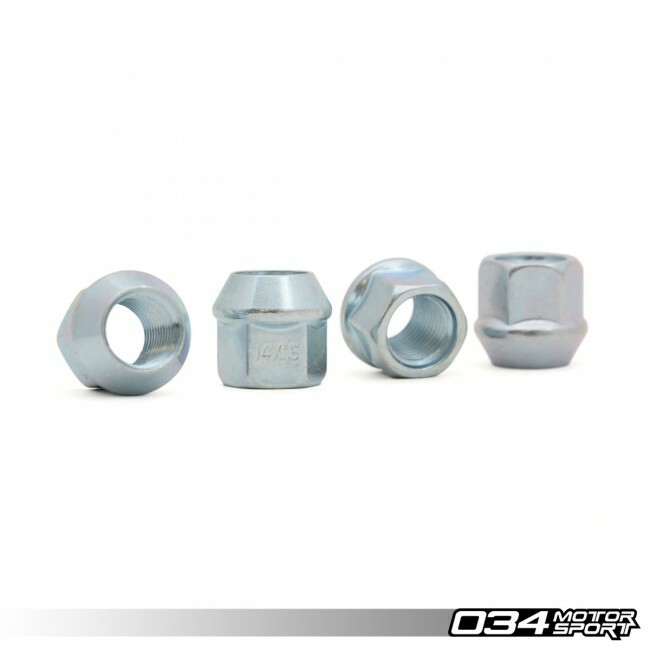 High quality M14x1.5mm cone seat wheel nut with 3/4" wrench head. Cone seat profile is compatible with most aftermarket wheels. Sold in sets of 4 nuts! A 4-bolt car will need a quantity of 4, a 5-bolt car will need 5. Open ended so a stud can thread fully through.